A new color option for Model 3 fans has been spotted: midnight grey. 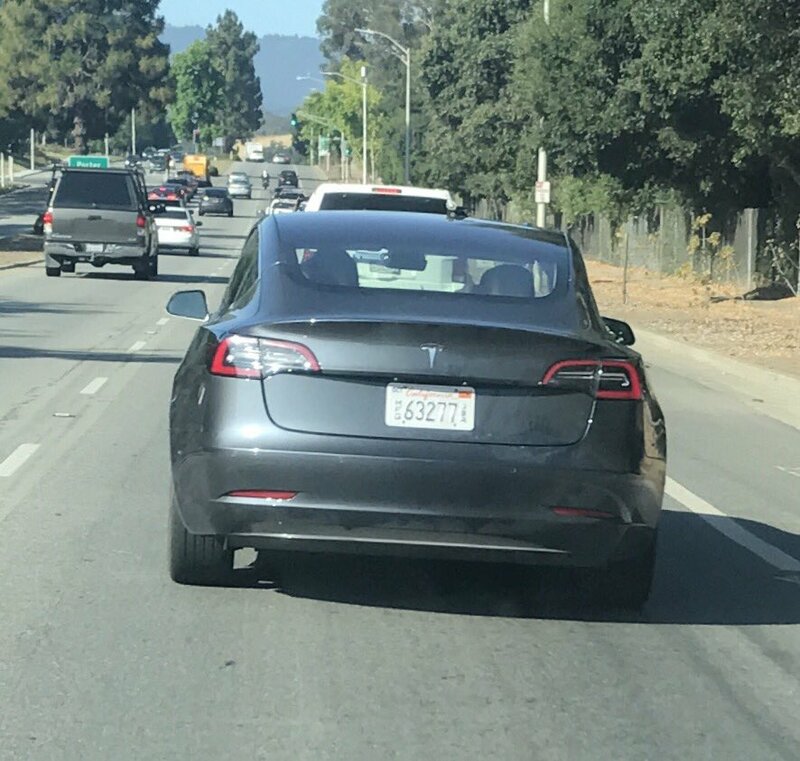 Brian Armer spotted the beautiful new Tesla vehicle on his way to work on Page Mill Road heading west near Tesla’s Palo Alto headquarters. Armer, who is a Model 3 fan with a reservation for the vehicle, got an up close and personal look at the Tesla vehicle that could revolutionize the EV market. 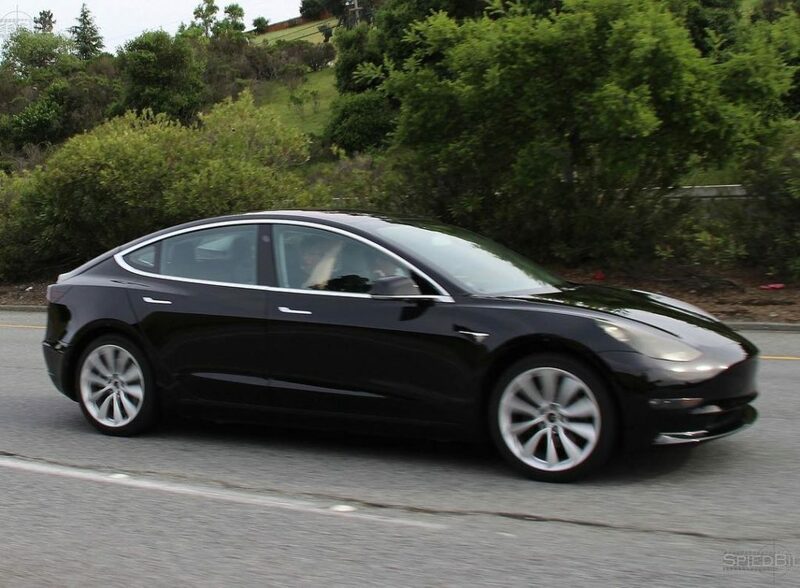 Armer, who is also an avid Model S fan, said that he was a bit surprised by the size of the vehicle compared to the Model S.
The new color sparked discussion on social media as well, as Tesla fans everywhere began discussing how this would influence their potential choice for which Model 3 they would choose as their own. Tesla unveiled the Model 3’s red, silver and matte black options to fans last March. This new midnight grey color choice has excited a lot of fans who are delighted by the fresh, modern feel of the color scheme. In addition to the colors, black, white and blue models have been spotted and are considered to be a part of the official color offering. 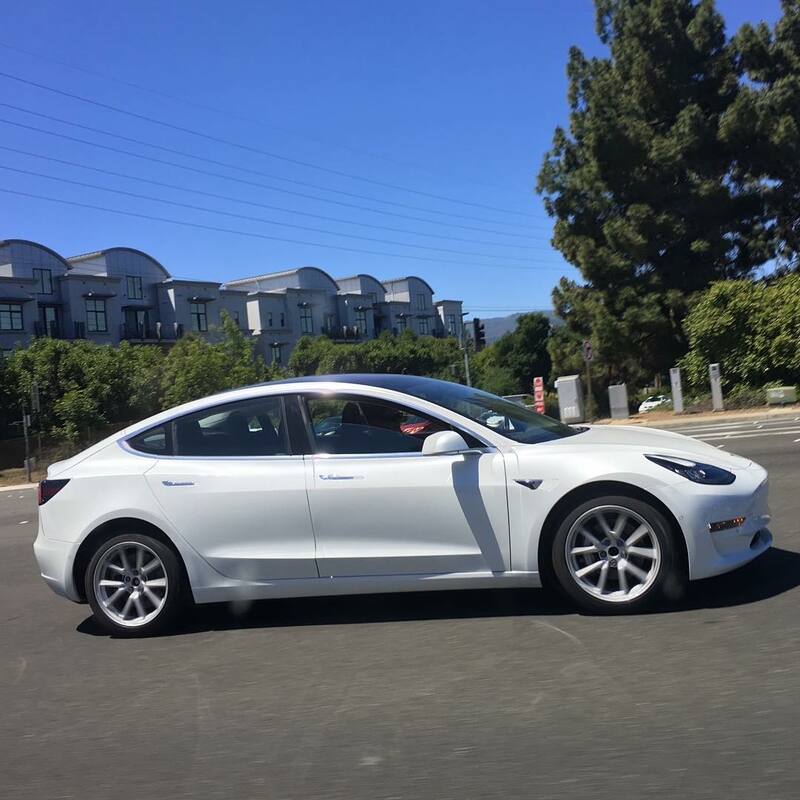 We also reported on a “Signature Red” Model 3 sighting in May, which features a darker red than the standard model. The Model 3 also has a fan-made design studio so anxious reservation holders can see what their new Tesla will look like once production ramps up. While CEO Elon Musk has said that an official design studio will be up and running as production continues through the end of July, for now fans can visit Model3Config for an opportunity to customize a Model 3’s color. The site also provides options for changing the style of the interior. Once the official Tesla design studio is up and running, Musk said the studio will only allow people to pick a color and decide between 18- or 19-inch wheels. The various colors, albeit limited at first, are “critical to achieving a rapid production ramp,” according to Musk. The number of configurable options will likely allow Musk and Tesla to achieve their volume goals before they embrace the fun of intricate color schemes and vehicle design. However, with red, sliver, black, blue, white and now midnight grey options, Tesla customers will have a fairly diverse palette to choose from when it comes time to personalize their Model 3 design.